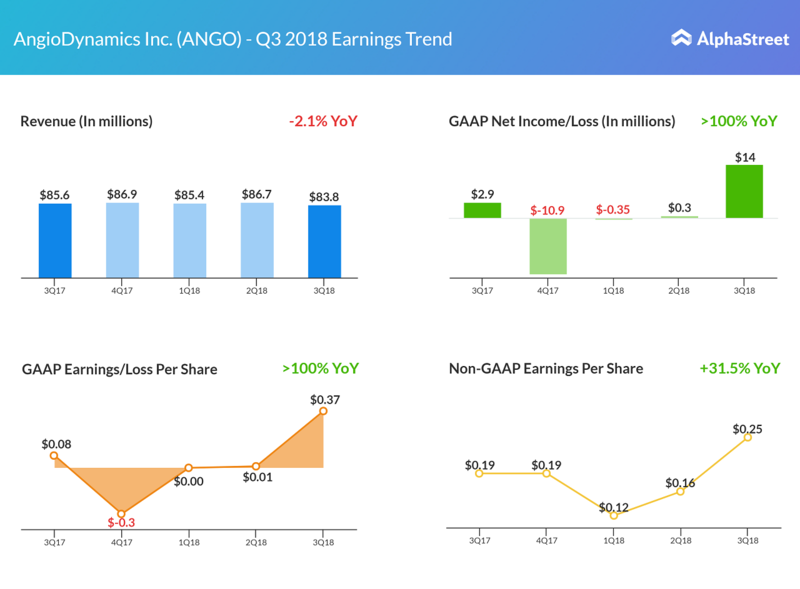 Medical device manufacturer AngioDynamics’ (ANGO) third quarter 2018 revenue fell short of consensus estimate. 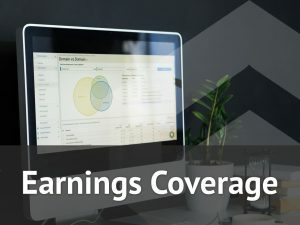 The company’s revenue dropped 2.1% year-over-year, while the US tax reform lifted the reported earnings and per share figures, which more than tripled for the quarter. The revenue miss was mainly due to the declines in the Venous Insufficiency business and a negative year-over-year comparison related to the Radiofrequency Ablation (RFA) product line that was discontinued in Japan. Profit jumped to $14 million or $0.37 per share from the year ago profit of $2.9 million or $0.08 per share. On an adjusted basis, earnings spiked 31.5% to $0.25 per share. Geographically, US net sales fell short of expectations, declining 2.8%, hurt by declining sales of Venous, PICCs, and RFA businesses. However, international sales experienced a positive growth due to consistent performance across all the business units. AngioDynamics reaffirmed its financial guidance for fiscal year 2018 and expects net sales in the range of $345 million to $350 million. Adjusted EPS is expected in the range of $0.64 to $0.68, excluding any impact from the 2017 Tax Reform Act. Including the impact of Tax Reform, adjusted EPS is eyed in the range of $0.70 to $0.74.